Transmission acccumulator cylinder repair of DSG 7 0AM (DQ200). The robotised transmission is controlled by electrohydraulic unit - mechatronics. 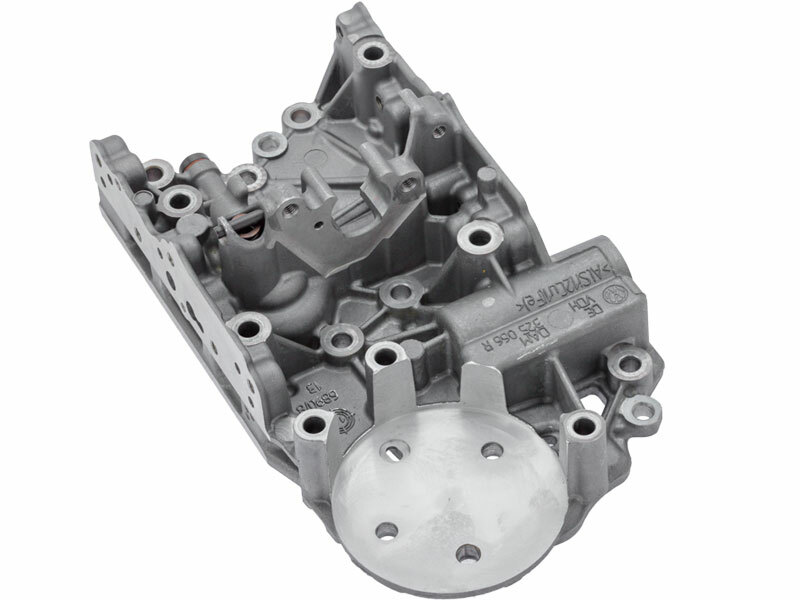 A feature of this automatic transmission model is the high value of the hydraulic fluid pressure on the actuators. Unlike valve bodies of conventional automatic transmissions, mechatronics has its own oil circuit separate from the lubrication circuit of the mechanical part of the transmission and this lets to avoid contamination of the hydraulic fluid. For transmission of control forces mechatronics uses a small amount of oil - only 1.1 liters, while the control pressure reaches 60 Bar (approximately 60 Atmosphere). In a working car, such pressure is created by the oil pump, but after the ignition is turned off, the pressure is released. To quickly create pressure after turning on the ignition in mechatronics, a special unit is used - the pressure accumulator. The battery is made in the form of a gas cylinder, inside which the pressure is 50 Bar. Thus, after the ignition is switched on, the battery shows the initial pressure in the hydraulic system, after which the oil pump adjusts the required value depending on the ambient temperature. Structurally, the pressure accumulator is installed in the mechatronics housing through a threaded connection and sealed with a rubber ring. In case of a battery failure, it can be replaced with a new one. High pressure in the system, cyclic loads and fatigue of the mechatronic body material eventually lead to the destruction of the pressure accumulator seat. In the beginning, this manifests itself in the form of a long "pumping" of the mechatronics hydraulic system after the ignition is switched on, as a result of the non-standard bleeding of the pressure through the microcracks in the housing. Further operation leads to errors due to oil pressure in mechatronics. At the same time, an external inspection does not always make it possible to determine the presence of a defect. Over time, microcracks grow in size and lead to the destruction of the mechatronics seat, which, in combination with high pressure in the battery, resembles an explosion. The consequences of such destruction can be the cause of the failure of the entire mechatronics due to contamination of the oil circuit channels by the fragments of the housing parts. To solve the problem of microcracks enlarging and to prevent the consequences of global destruction of mechatronics, the specialists of Maktrans company developed a technology to strengthen the battery seat by using materials of increased strength. The battery seat is prepared for the installation of a reinforced glass by milling it on a numerically controlled machine, which provides the required level of precision in machining the surfaces of the workpiece. 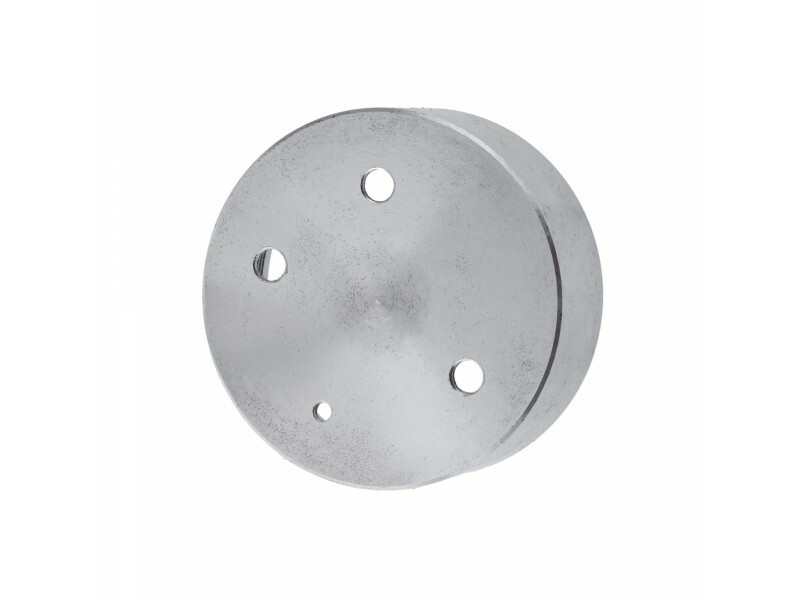 The reinforced glass is made of steel and is stronger than the standard seat in the mechatronics housing (mechatronics housing material - aluminum alloy) by strength characteristics. The dimensions of the glass exactly repeat the original dimensions of the battery seat: the thread pitch, the diameter, the size of the holes for fixing and feeding the oil. A reinforced glass is installed on the previously prepared place in the mechatronics housing, the design does not differ from the original appearance. The further assembly takes place in the normal mode using bolted connections according to the technological scheme of the mechatronics service. After the repair, the mechatronic is connected to the mechanical part of the transmission and the car passes the test drive starting from ignition on and checking the initial pressure in the mechatronics and ending with the automatic transmission test in all operating modes. 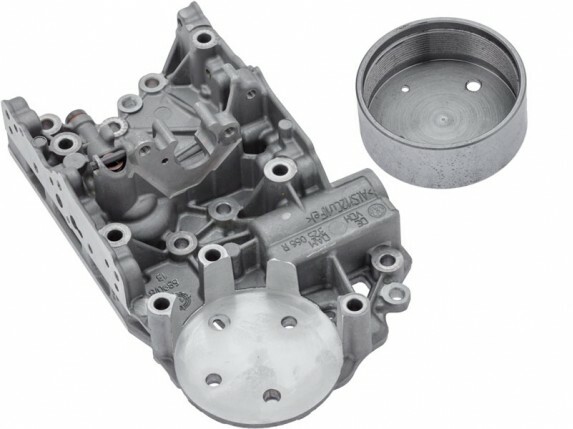 The occurrence of pressure errors in mechatronics and a long start after switching on the ignition, accompanied by the sound of the oil pump, are the most common signs of problems with the pressure accumulator. Timely diagnosis and repair can prevent the development of a malfunction and significantly save on its elimination. Why do we need your reviews?